2 days before the Slumberland concert and album release at Het Bos, Jochem Baelus, band leader, warms up with a radio show at WAV. This is a WAV-Het Bos collab. We give away two duotickets for the concert of Slumberland + Jerusalem In My Heart @Het Bos, wednesday 6th of February. Find out how to get hold of these tickets, by tuning into the radioshow! More info about the concert on Het Bos website or facebook event page. The band led by sound artist Jochem Baelus deploys an arsenal of home-made mechanical instruments and two drummers to unleash a hypnotic krautrock/post punk sound with echoes of distorted exotica, long-lost soundtracks and boozy rock & roll greats. For their latest album ‘Sea, sea, sea, drifter / See, see, see, drifter’ (Consouling Sounds), Slumberland has crossed the Atlantic, making landfall in Montreal to work with engineer/producer Radwan Ghazi Moumneh, amongst many other things known from ‘Jerusalem In My Heart’ and as the unofficial sound guru for the Canadian label Constellation Records. Since 2013, Jochem Baelus has been besieging the music scene with his re-engineered sewing machines and film projectors. 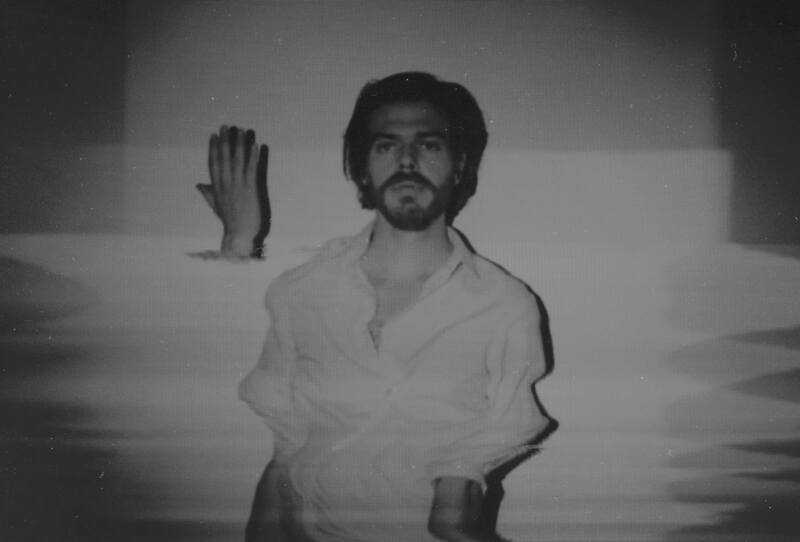 With its obscure, veiled songs, his self-titled debut album in 2013 on the experimental Dutch label ‘De Zesde Kolonne’ made an impression for its Lynchian atmosphere, prior to which he had already gained a reputation with bands including Echo Beatty. It didn’t go unnoticed by bands such as Tindersticks and King Dude, with whom he would later share the stage. After several tours in Germany, Eastern Europe and Switzerland, a ‘live’ tape was released with collaborations from the ‘Psychfest’ festival Eindhoven and he was invited to take part in the compilation album ‘I said no doctors’ alongside the likes of Silver Apples and Dan Deacon, on the American label ‘Dymaxion groove records’. After numerous solo shows, in 2018, he decided to expand his band to a trio.